Thanks to our waste clearance services your commercial premises, buildings and construction sites will become clean and neat in the blink of an eye. Our all type junk disposal services for commercial and business clients are cost effective and do not require any permits unlike skip hire. 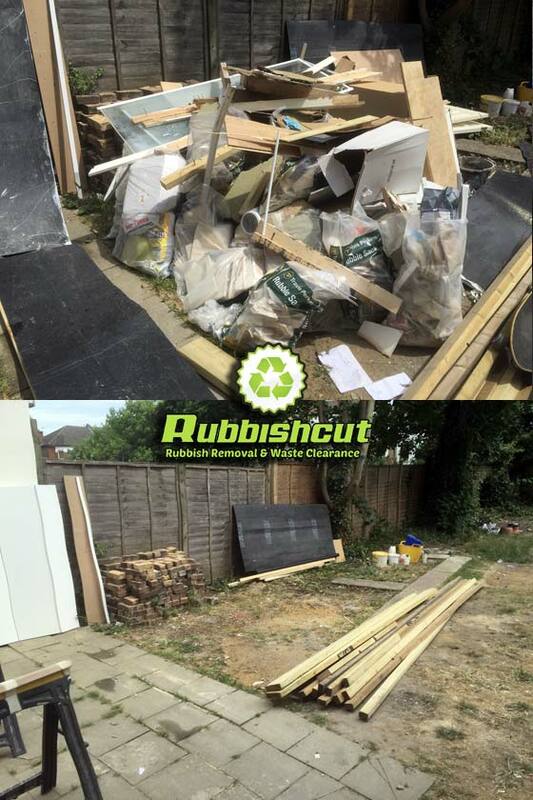 With Rubbish Cut you can be sure your waste will be taken care of legally, environmentally and with minimal disruption to your business. Our customers have access to an efficient, responsible and cost effective commercial waste removal service using the latest transport and disposal technologies. We are able to provide the right solution for many different types of waste, whether you require an office (confidential data and documents), factory or shop clearance, white goods removal (washing machines, fridge freezers) or electronic recycling. We will remove debris, plasterboards, metal elements, bricks, rubble, soil, DIY or any other kind of non-hazardous building waste. We understand that you need your property back as soon as possible, and we will endeavour to collect all construction waste the same day. We recycle where possible and dispose of your waste responsibly.